This artwork has been done for a commissioned fine art print. The work has been influenced by traditional tattoo styles and dotwork. 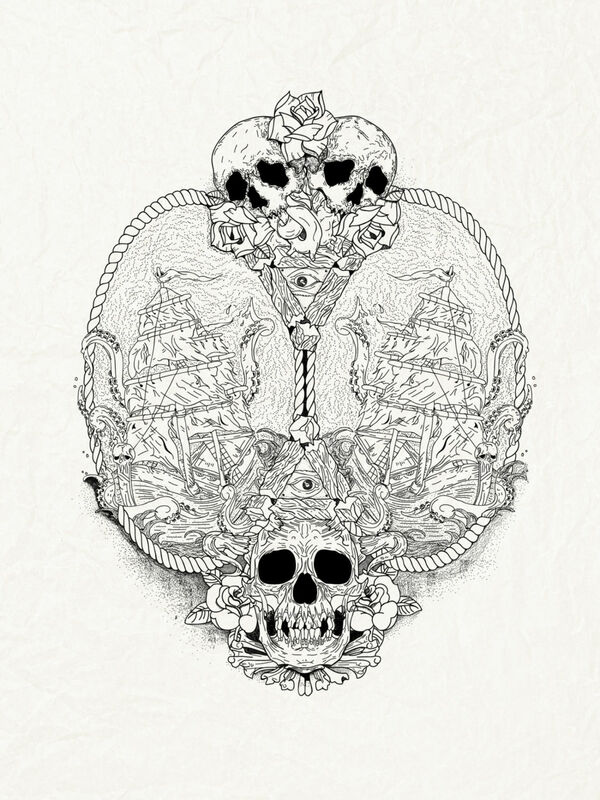 The imagery of ships, skulls, and an octopus was requested by the client. The artwork has done as a digital illustration and was never printed.